Taft's Dollar Diplomacy: William Taft was the 27th American President who served in office from March 4, 1909 to March 4, 1913. One of the important events during his presidency was Taft's Dollar Diplomacy. Summary and definition: The term "Dollar Diplomacy" refers to the use of diplomacy to promote the United States commercial interest and economic power abroad by guaranteeing loans made to strategically important foreign countries. The Dollar Diplomacy (1909 - 1913) is primarily associated with the administration and the foreign policy of Secretary of State Philander C. Knox and President William Taft - hence the well-known phrase 'Taft's Dollar Diplomacy'. Taft and Knox used 'Dollar Diplomacy' in several countries in central America including the Dominican Republic, Nicaragua, Guatemala, and Colombia. 'Dollar Diplomacy' was also used to aid the stability of Caribbean countries such as in Honduras and Haiti. By using Dollar Diplomacy Taft attempted to extend the American sphere of influence in China and also to Liberia in West Africa. President William Taft justified his 'Dollar Diplomacy' as a natural extension of the Roosevelt Corollary to the Monroe Doctrine which asserted the right of the United States to intervene to "stabilize" the economic affairs of small states in Central America and the Caribbean if they were unable to pay their international debts. President Roosevelt had used diplomacy to "speak softly and carry a big stick" in foreign affairs. President Taft did not favor 'big stick' diplomacy preferring a more subtle stance based on the power of the dollar rather than the might of the military. This foreign policy did not work as well as Taft had hoped. Following victory in the Spanish-American War the United States gained new world power and conducted military interventions in Panama, Nicaragua, Honduras, Haiti, the Dominican Republic and Mexico. The American United Fruit Company and Standard Fruit Company dominated the key banana export sector and it was critical to safeguard the companies trade in these countries. The U.S. occupation and military presence in these countries was referred to as the Banana Wars. Taft's attempts at Dollar diplomacy was used in an attempt to stabilize the volatile situations in these countries during the Banana Wars. The close proximity of Nicaragua to the Panama Canal made the country's stability crucial to American interests in the region. Taft's Dollar Diplomacy in Nicaragua guaranteed loans to the Nicaraguan government and supported the overthrow of Jose Santos Zelaya, setting up Adolfo Diaz in his place. This action was deeply resented by many of the Nicaraguan people and eventually resulted in U.S. military intervention in the country when Taft sent in marines when Civil War broke out. Nicaragua was occupied by the U.S. almost continuously from 1912-1933. Taft's Dollar Diplomacy in the Dominican Republic centered on reducing the levels of corruption and to this end the U.S. took control of a country’s customs. US intervention failed to beat the corruption and earned the distrust of the country. The Dominican Republic was subsequently occupied by the U.S. from 1916 to 1924. 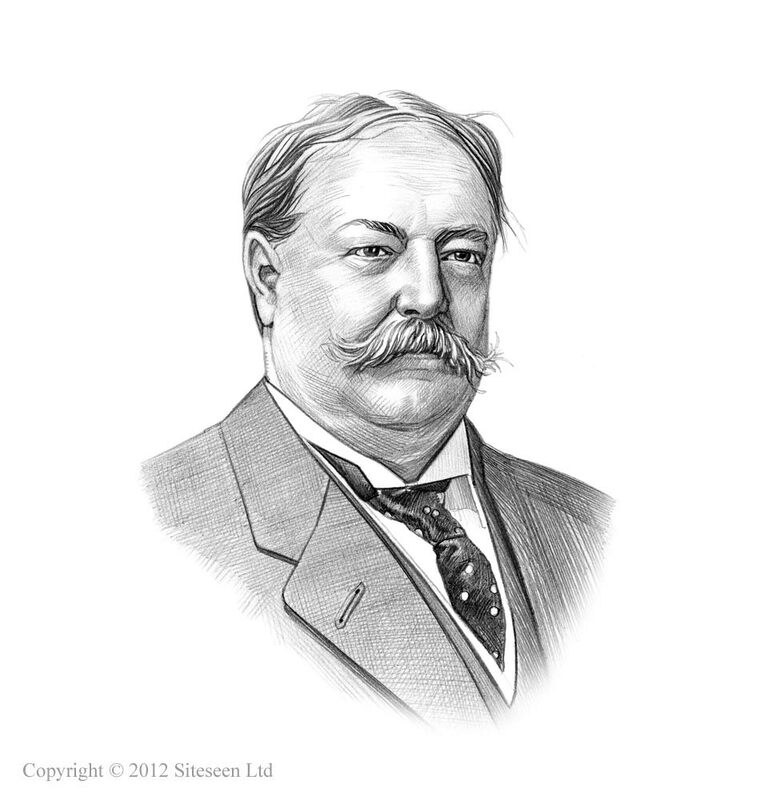 Taft's Dollar Diplomacy in Honduras was a result of the massive debts owed by Honduras to British investors. The political situation made the investors nervous and talk began of possible British intervention. The Taft administration sought to avoid this by sending in American bankers to restore economic order and injecting American funds. This action averted the immediate crisis and the American bankers remained on site to administer the financial affairs of Honduras. Taft's Dollar Diplomacy in Liberia was due to the intention to guard the American community founded in Liberia. The two countries had shared very close diplomatic, economic, and military ties since 1819. As part of the Taft's dollar diplomacy in Liberia 1912 the U.S. arranged a 40-year international loan of $ 1.7 million. Taft's Dollar Diplomacy in China was aimed at strengthening the Open Door Policy and free trade in China that had been initiated following the Boxer Rebellion. Another goal was to decrease Japanese and Russian influence in China. This was achieved by forming an alliance of American, British, French, and German investors to invest in railroad construction in China. Russia and Japan were excluded from the western alliance and Taft secured the American financing, by the J.P. Morgan corporation, for the construction of a railway from Huguang to Canton. The railroad project quickly collapsed in 1910. The United States had to send troops to protect American investments.